Michael Petruniw, 70, of New Britain, passed away Wednesday, Feb. 6, 2019, at St. Francis Hospital surrounded by family. Born in Regensburg, Germany, Michael was a New Britain resident most of his life and is a graduate of Pulaski High School, Class of 1966. 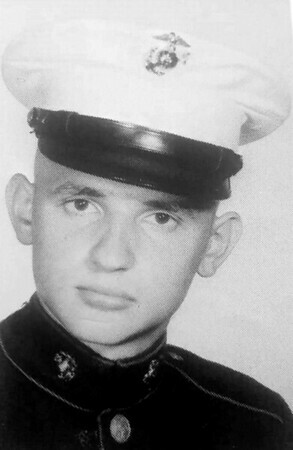 A U.S. Marine Corps veteran, serving during the Vietnam conflict, he was employed as a corrections officer for the State of Connecticut for 20 years. He was a member of St. Mary Ukrainian Orthodox Church in New Britain. Michael was an avid UConn women’s basketball fan and was an avid hiker, hiking the Appalachian Trail from Georgia to Maine twice. He was a lifetime member of Appalachian Trail; lifetime member of the VFW of New Britain and Elk’s Club of Southington; and while a corrections officer, he received a citation for saving an inmate’s life during a fire and getting two others out of harms’ way. Predeceased by his parents, John and Patricia Petruniw of New Britain. Survived by a sister, Anne Bailly and her husband, Dale of New Britain; a brother, John Petruniw, Jr. of New Britain; a nephew, John Bailly and his wife, Sarah of Newington; four nieces, Michelle O’Neill of Wethersfield, Kathryn Bailly of New Britain, Susan Castrillo and her husband, Luis of Rocky Hill, and Elizabeth Simmons and her husband, Matthew of Seattle, Wash.; and eight great-nieces and nephews. Funeral services and burial are private. There are no calling hours. In lieu of flowers, donations may be made to St. Mary Ukrainian Orthodox Church, 54 Winter St., New Britain, CT 06051, or to New Hope Clinic, 214 Canal St., Plantsville, CT 06479, or to Wounded Warrior Project, P.O. Box 758517, Topeka, KS 66675. The Carlson Funeral Home, New Britain, is assisting with arrangements. Please share a memory or note of sympathy at www.carlsonfuneralhome.com . Posted in New Britain Herald, on Friday, 8 February 2019 18:20. Updated: Friday, 8 February 2019 18:22.